Great offers and quality. All cultivars are grown in Spain and ready for shipping across Europe. This species is unique in its combination of colours and shapes. Its leaves form a tunnel to catch insects and produce enzymes to digest its prey. Also known as air plants. Decorate your home with these incredible plants. Perfect for winter and very easy to grow! We ship from Monday to Friday so you can enjoy your plants as soon as possible. We ship to all around the world. All transactions through our online store offer the best guarantees of safety and quality. Specific packaging with the utmost care. We ship via private courier so that your order arrives in perfect condition. Initiation pack consisting of two adult plants, soil and seeds. 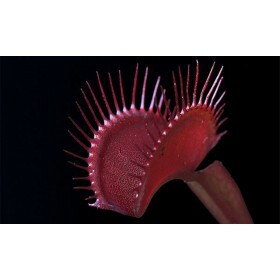 The Dionaea Flytrap (Dionaea muscipula) is a plant that requires a substrate free of mineral salts, therefore it needs rain water, being osmosis or distilled. If not, the salt weakens its development in excess. Neither should be fertilized. Do not feed, it hunts for itself. Origin: It grows in North America, Northern Peatlands and South Carolina. 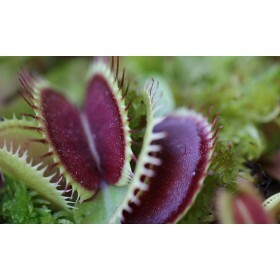 The traps are large and they have a fantastic deep red colour in the centre trap. It also produce clumps of rosetted growing points, which result in a mound of densely packed leaves. Kit de fácil cultivo con 2 especies de plantas carnívoras adultas. El sustrato ideal para el cultivo de tus plantas carnívoras. The Tillandsia Butzii is a great looking plant, which makes a distinction in the Tillandsia species through the wonderful, whimsical shape and spotted / speckled leaves. The Tillandsia Caput Medusae is an unique plant in the Tillandsia species. The shape and form of this species is certainly rare and so the plant is named after this. Special garden including 4 large adult plants, substrate and gardener. N. ventricosa x N. alata. hybrid. It is sent potted. The leaf petiole, blade and trap exhibit dark maroon to burgundy coloration. Any green coloration has only been noted around the center of the plant in mid-winter. 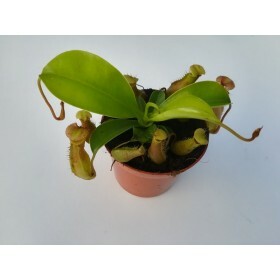 We are producers and distributors of carnivorous plants, exotic plants and seeds from Spain, as well as other materials intended for growing these plants. All of our plants are grown in our greenhouse. None of our plants are collected from the environment. 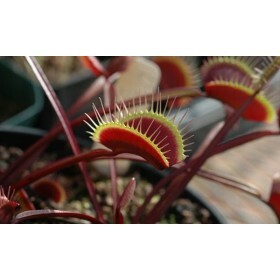 We ship plants to Europe and seeds to other continents, but not plant supports and accessories. If you are interested in selling our products, please do not hesitate in contacting us through our contact page.